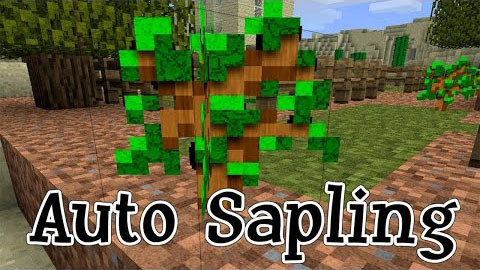 Auto Sapling Mod can be used to plant those saplings that are not picked up instead of despawning, grow the forests over time and make automation of trees much easier. When a sapling item would normally despawn, it replants itself on the ground! It’s useful for two reasons: when you chop a tree down, you often leave before all the saplings have dropped.